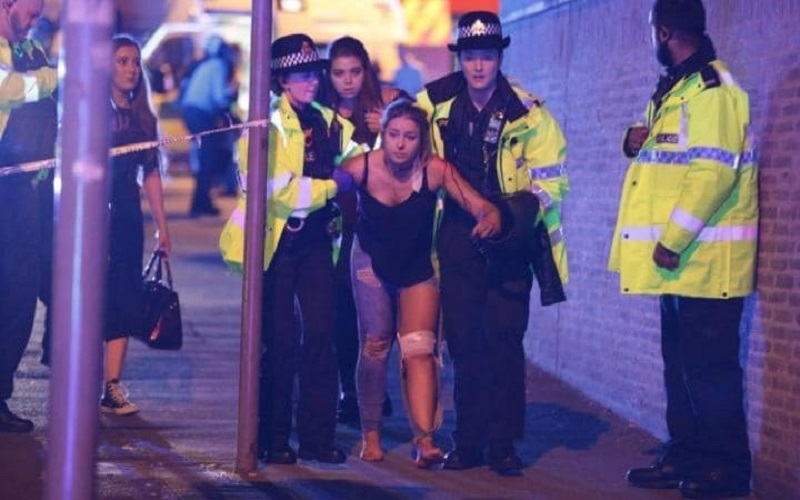 This evening around 10:30 P.M. in Manchester, England, an explosion went off at the end of Ariana Grande’s concert. Investigators are still determining whether this explosion was a suicide bombing. 19 people confirmed dead, while approximately 50 injured. Audience members consisted mainly of young girls and their mothers. According to news sources, tens of thousands of people were in attendance of the concert. The explosion happened in the Manchester Arena near the ticket office toward the end of the concert. The explosion happened in the soft zone, outside of the security checkpoint. Many (mostly young girls) were leaving the concert early when the explosion occurred as they were trying to avoid the overcrowded streets by concert goers. It has now been confirmed a terrorist incident, and the attacker has been identified posthumously. Prior to ISIS taking credit for it, news outlets are speculated that it was an ISIS attack. The attack comes just days after President Trump met with Saudi officials. Editor’s Note: On 5/24/17, this article was updated to reflect the most up to date information available. Previous versions of this article listed the death toll at 19 and the attack as being investigated but not confirmed as a terrorist incident, which was the information available at the time of the original publication. If you’d actually read till the end you’d understand that Trump probably caused this by visiting Saudi Arabia. Yet more insightful writing from the intellectually and culturally rich Muslim world. UK is now home to 23,000 jihadists as monitored by M15 and the police. This is 1℅ of the Muslim population, and this can only be the tip of the iceberg. This must now be the time for Muslims to apostatise to keep humankind safe. Please, please muslimgirls, understand you have been brainwashed. Very few intelligent people have converted to Islam. We are here to release you from the fear.